The Lagos State University has recently processed and graduated over 70%of the External System students, at both the Undergraduate and Postgraduate levels. The University has also embarked on the processing of the results of all other categories of students who may have legitimately completed their course of studies, but are yet to graduate owing to one reason or the other. 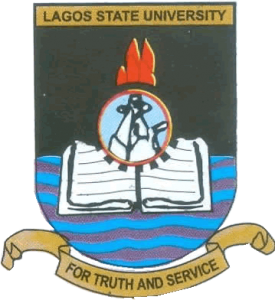 The University is therefore calling on all students of the Lagos State University External System who are yet to graduate to link up with the Directorate of the External System either in person or visit the designated website: http://studentservices.lasu.ng/lasues_makeup/ for registration. The deadline for online registration for the examination is Friday June 16th 2017. Saturday July 8th and 9th 2017: 100, 200 & – 300 Levels. Students are to note that all examinations will hold at the Main Campus, Ojo. They are to visit the online website: http://studentservices.lasu.ng/lasues_makeupfor Registration of Courses, Applicable Fees and Examination Time Schedule.